1.The valve can work even power off. 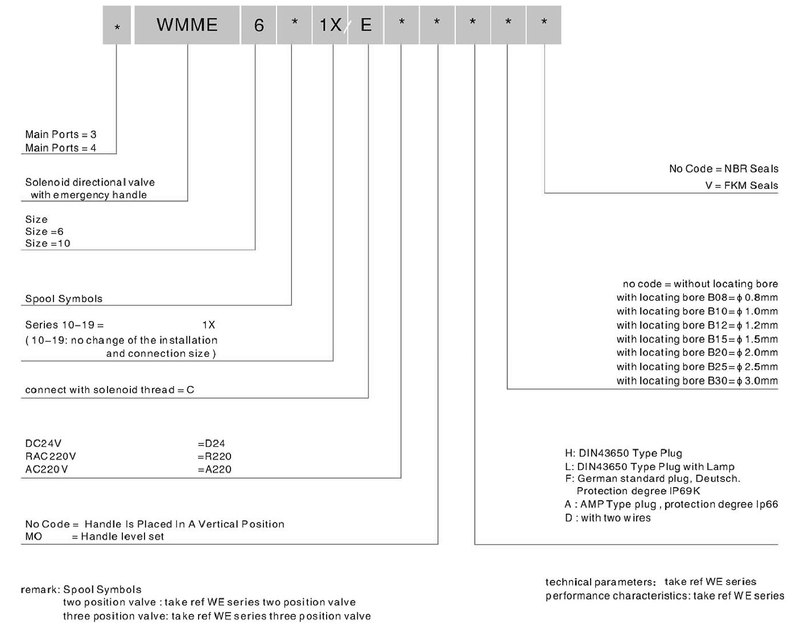 2.According to customer’s install requirements,there are two different circuits can be selected. 3.When valve is electric operated,handle stay in origin location,and can not effect valve performance. 4.Can be used as pilot valve of hydraulic control directional valve. 5.Mounting surface is design and manufacture according to DIN24340 standard. Suitable for AC or DC power supply, maximum flow of size 6 valve is 60l/min, maximum flow of size 10 is120l/min, with auxiliary handle electromagnetic valve.When power off can be used. With good performance, emergency can be operated by valve handle,MV is on behalf of the handle and valve axis is into vertical state of placement,so as to do not affect the valve handle mechanism and performance. Solenoid valve with auxiliary handle and technical data is the same as WE solenoid valve,working function is also the same as 4WE6 and 4WE6 solenoid valve.Which referred to WE type solenoid valve. 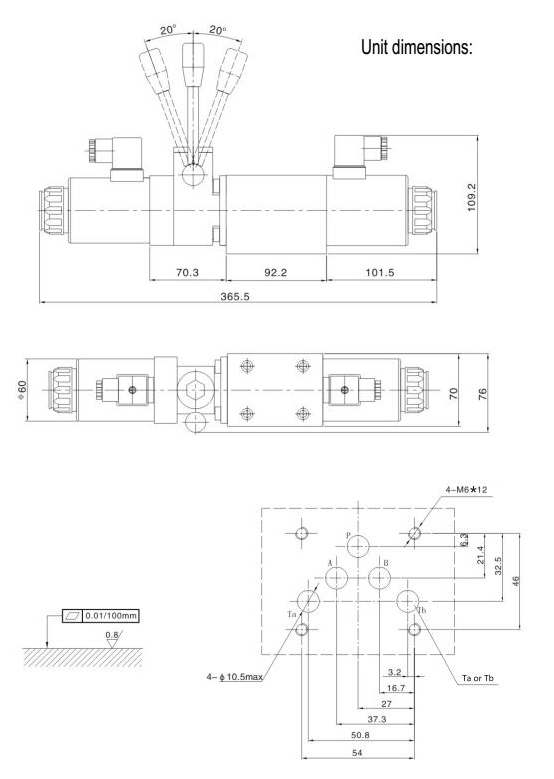 With good production capacity,we can design different WMME Directional Valves to WMME Directional Valve (WMME6E D12) and WMME Directional Valve (WMME10J D24) . 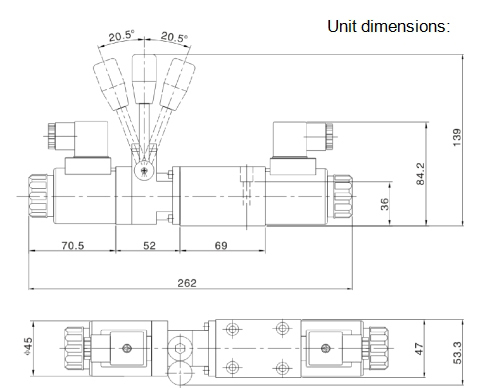 We are well-known manufacturer which can offer accurate dimensioned WMME Directional Valves all over Europe, Middle East, South America, East Asia, Australia etc. Directional Valve is approved by CE ,with characteristics of corrosion resistant, impact & heat resistant and long service time. 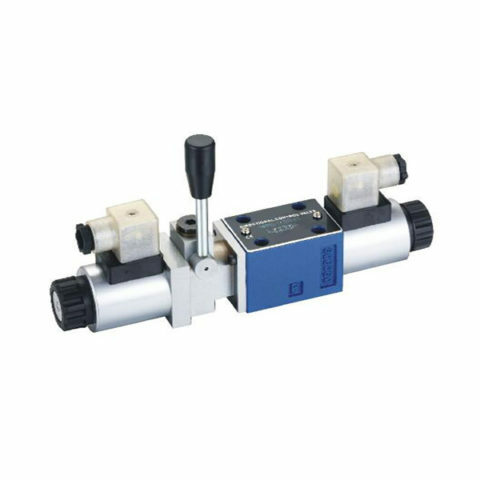 materials and conform to related quality standards and industry norms.If you need WMME Directional Valve (4WMME6J D24) series,please contact us. 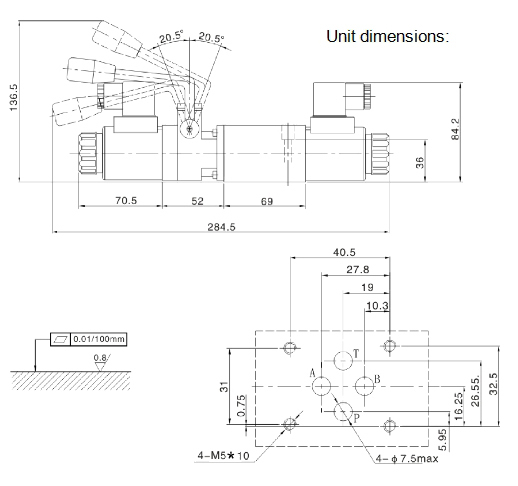 This is the adjustment of the throttle adjustment part, the oil chamber flow does not change, the main reason is that the valve core is jammed and the throttle adjustment part of the occurrence of failure, etc.. Bosch solenoid valve or throttle valve in the full closed position, the radial stuck will use the oil chamber without flow, in the fully open position (or throttle adjustment is good), the radial stuck will keep the throttle adjustment part of the oil chamber flow not change. In addition, when the throttle adjustment part of the failure, will make the adjustment screw can not move axially, the oil chamber flow do not change. When the spool valve stuck or throttle adjustment partial the failure, should be cleaned and repaired. When the throttle adjustment is well locked, the bosch solenoid valve is sometimes unstable, especially when the minimum stable flow. The main reason is the locking device is loose, the throttle partially blocked, oil temperature rise,the minimum pressure difference between inlet and outlet is too low, into and out of the oil chamber reversed and so on. Oil flow back through the QF type valve, the valve does not play a role in compensation to the throttle valve, so that the valve turn to the throttle valve. Therefore, when the inlet and the outlet pressure of the oil chamber changes, the flow will change, causing the flow instability. When in use, should pay attention to in and out of the location of the oil chamber, avoid the reverse.